Julian Opie culls images from popular culture and transforms them into highly stylized digitized images. 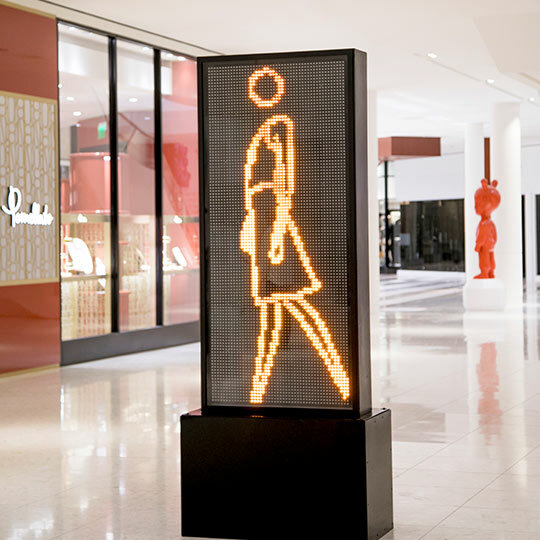 The artist also experiments with light and animation techniques to create “walking portraits” that are installed in public environments and interact with viewers going about their daily routines. Julian Opie lives and works in London, his artwork has been featured in numerous solo and group exhibitions around including the Shangai Expo in China 2010. Opie’s work can also be found in public collections such as the Tate and National Portrait Galleries in London, The Stedelijk Museum in Amsterdam, The Museum of Modern Art in New York, National Museum of Art.